OutSystems is a low-code app development platform that enables users to build, deploy, manage, and change enterprise-grade mobile and web apps faster. It includes more than 140 ready-to-use user interface patterns and templates to accelerate UI development. Here, we cover OutSystems reviews and pricing. Ready to get started? Try it for free. Users who gave OutSystems a positive review are impressed with how quickly it allows them to develop an app and that they can build apps for different devices in one platform. They added that the software is easy to use, the interface is intuitive, and their customer support team is helpful. 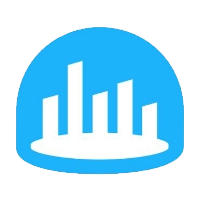 One user who gave OutSystems a positive review on Capterra said that the speed of developing an app is insane, as it really cuts the time of building an app to a minimum. He also likes that he can build an app both for Android and iOS in one platform. 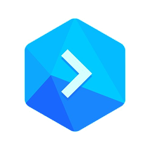 Users who gave OutSystems a negative review complained that the pricing is very expensive, that it does not work well on some internet browsers, and that it always crashes with Service Studio. They added that several users aren’t allowed to work simultaneously on the same module and that its numerous features can be overwhelming. One user who gave OutSystems a negative review on G2 Crowd said that when they’re trying to put an application with a lot of dependencies in production, they need to refresh all of those dependencies. He added that multiple persons can’t work on the same module at the same time. OutSystems pricing depends on a free plan and two paid subscription options: Enterprise ($64,800 per year), and Universal ($147,000 per year). The main difference between the OutSystems pricing plans is the end-user capacity. Ready to get started with OutSystems? Try it for free. Are applications created using OutSystems secured? Yes. OutSystems strictly implements common security requirements like application security checks, identity management, access control, single sign-on, encryption, and auditing to ensure the protection of the applications built using the platform. What types of support does OutSystems offer to its users? OutSystems provides multiple kinds of support options to help its users maximize the use of the software. These include unlimited email support, knowledge base resources, online training and tutorials, exclusive webinars, and a customer onboarding program. 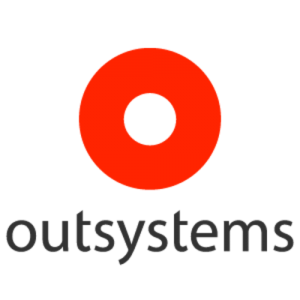 Have you read these OutSystems reviews and are still not sure if it’s the right fit for you? Read our reviews of all top app development software providers or check out one of these three OutSystems competitors.